The new year is the perfect time to set new goals. We often call them resolutions, but I just see them as hope for what is to come. Maybe you already have big hopes and goals for the new year, or maybe you haven’t thought much about it. Regardless of where you are, I want to challenge you to make one meaningful goal for yourself this year that could impact the child you sponsor in a huge way. 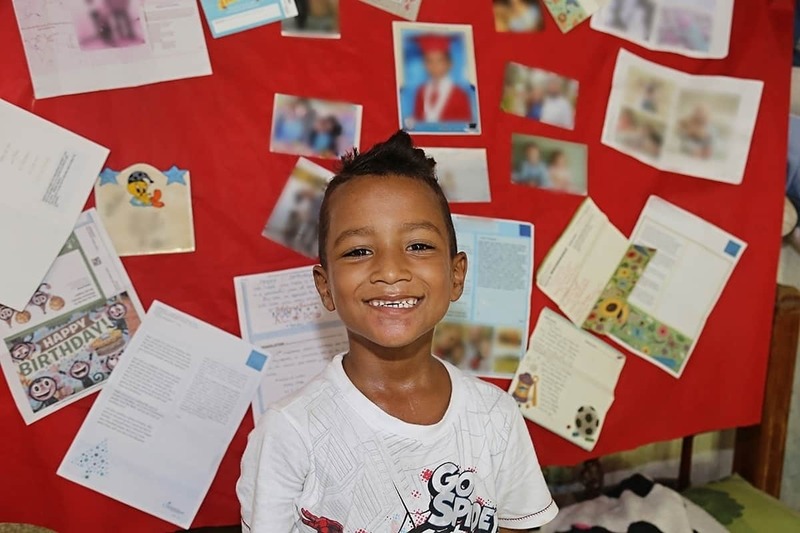 My challenge to you is to write the child you sponsor through Compassion consistently in 2019.
Letters remind children that they are cared for, loved and remembered. Your words provide seeds of hope for the potential in that child. What could be a more meaningful goal for 2019 than providing hope for a child in poverty? You might be someone who already writes regularly, and that’s great! Or you might be someone who does not, and that’s OK too. 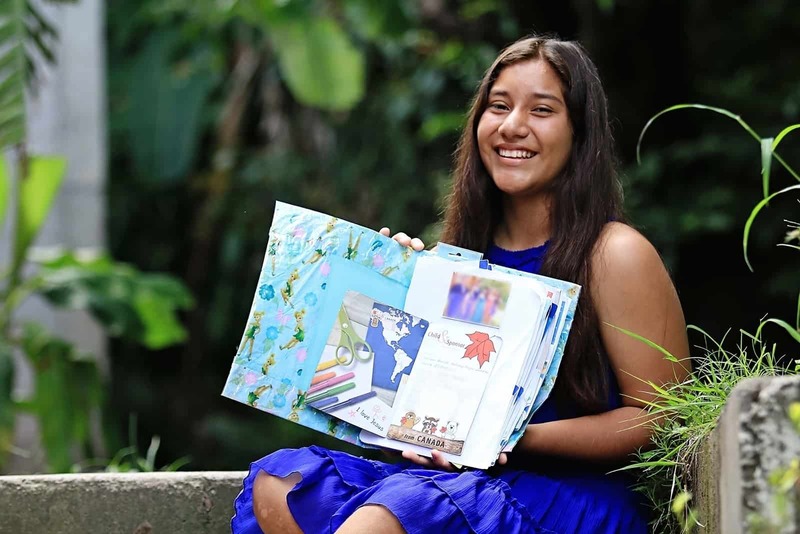 Wherever you are in your letter-writing journey, here are some new ideas on how to write letters more consistently to the child you sponsor! 1. Write on the same day every few months. Pick your favorite day of the month and commit to writing your letter on that day! Grab your 2019 calendar and jot down a reminder to write on that day every few months. Or if you prefer to use your cellphone, set a reoccurring notification for the year. Try to set a goal for writing that doesn’t feel overwhelming. Start with a realistic goal of writing one time every three months. That seems doable doesn’t it? 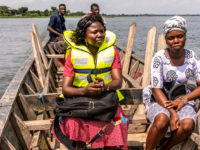 Give yourself grace if you end up missing a month or two; it’s the commitment to writing multiple times throughout 2019 that will provide hope to the child you sponsor. 2. Choose 6-8 writing topics in advance. In the next couple of weeks, take a few minutes to sit down and brainstorm topics or themes for letters to the child you sponsor. Maybe one topic is your family. Maybe it’s your church, your children or your community. Now start writing them down. Try to come up with as many letter topics as you can, hang your list somewhere you’ll see it, and commit to writing letters about each topic! If you need some ideas for topics that sponsored kids love to read about in letters, check out these 80 letter-writing prompts or read this blog post with letter-writing ideas! 3. Prepare your envelopes early. Nothing ensures consistency like good preparation. Here’s a crazy idea: Pre-address and stamp six to eight envelopes to Compassion International. Make sure to keep them in a place where you’ll see them. Each month you can pull out a ready-to-go envelope for your letter. Plus, you will have already used a stamp that you paid for, so it would be a waste not to write the letter! 4. Display letters you’ve received from your child. 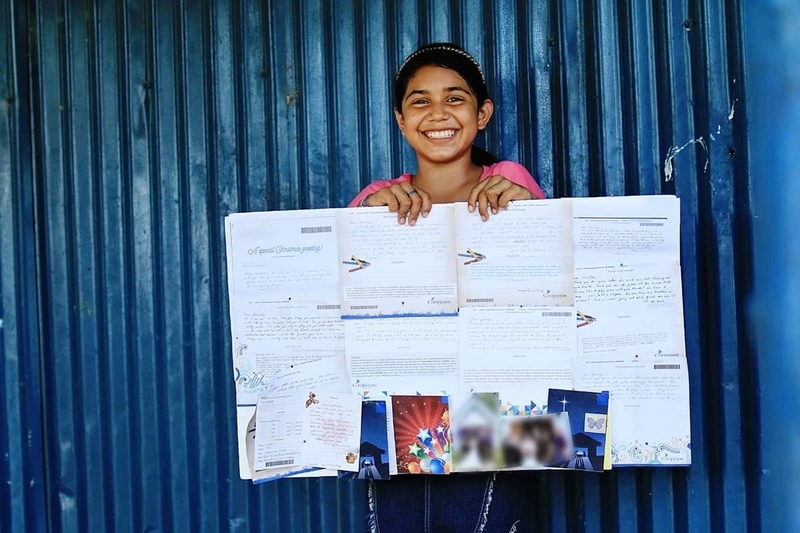 If you don’t already, start collecting the letters that the child you sponsor sends to you. Hang them up somewhere you will see them — your refrigerator, office, bathroom mirror or dorm room wall. Each time you see his or her letters, you will be reminded of the life-changing value of letter writing for both that special kiddo and for YOU. This strategy will make writing a letter hard to resist! 5. Write a handful of prayers for them. Prayer is one of the most powerful gifts you can give to the boy or girl you’re sponsoring. In each letter you write, include a prayer you’ve written out or prayed for that child. Reading that someone is praying for him or her will remind that wonderful child that he or she is remembered, loved and cared for. Need prayer ideas? Check out this 31 Days of Prayer guide, sign up to become a prayer partner, or read this blog post about how to pray for the child you sponsor. Now that you have some tools to bring hope by writing letters more consistently in 2019, pick up a pen or log into your Compassion Account and GET WRITING! Katy is a writer for Compassion USA. 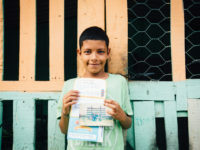 4 NEW Ways to Pray for the Child You Sponsor in 2019! Siri reminds me every month on the 20th to write. With the ability to write and upload pictures right on the website, I really have no excuse! Wonderful suggestions! When I am doing something, I think to myself: “Would my sponsored child be interested in this?” I snap a photo and try to write a short note. A family trip, a holiday meal, our first snow, a walk down the road, my knitting, a day baking, grandma’s cat, our church…almost anything can be a fun subject for a friend in a foreign place. Wow. Sister Katty Bennet is so cool a motivator and writer. She made it so simple and so easy for everybody. Everybody can write 6 to 8 letters per year.